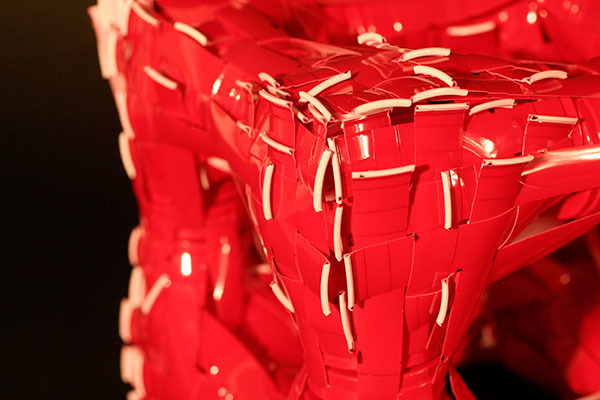 The structure is composed purely of 18oz red plastic cups. All are cut in the same fashion and woven together using a variety of methods. 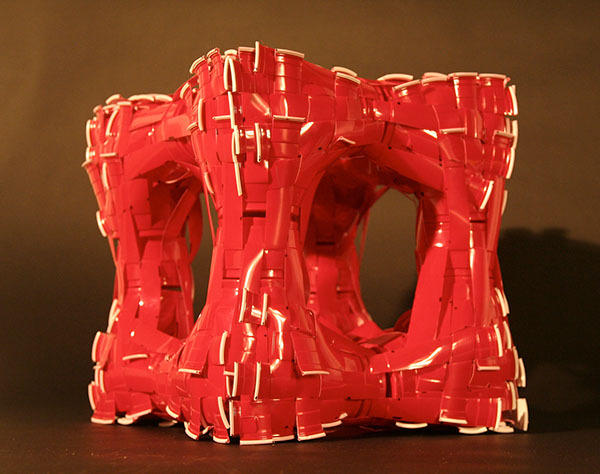 The final composition was designed to fit in a 10" x 12" x 12" volume and be structurally stable. 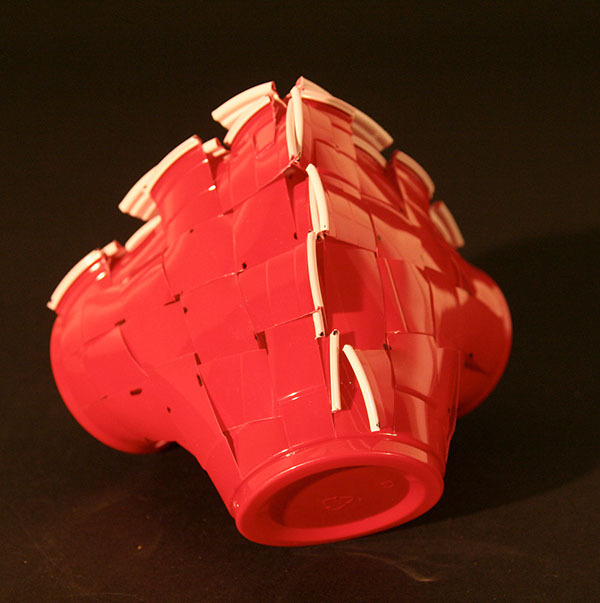 The project was to design a new material from a large quantity of the same found object. The material had to have its own properties inherent only to itself, while keeping its original form still visible. This is the basic pyramid module of the structure. 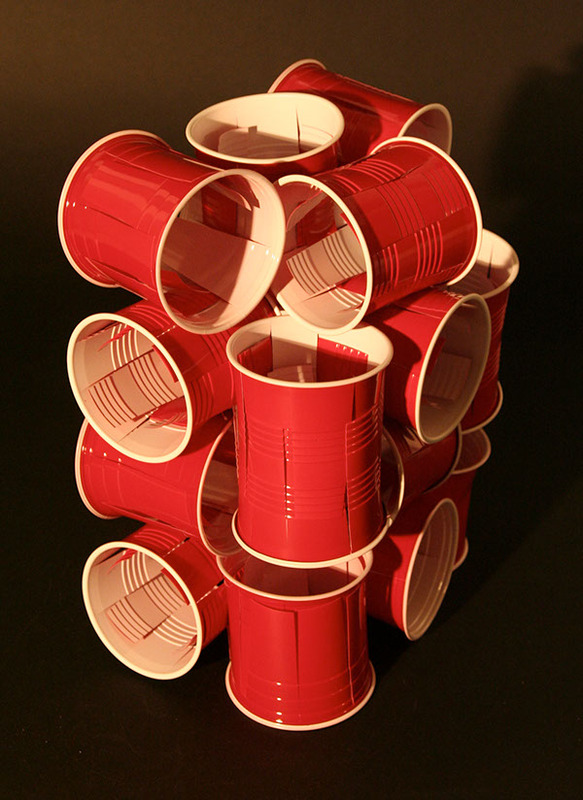 It is made of three identical cups. These are the preliminary compositions for the project. 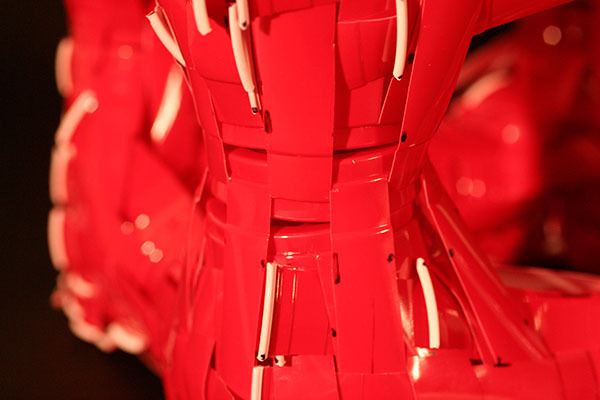 This was the earliest construction, composed of identically cut aluminum cans and wire ties. 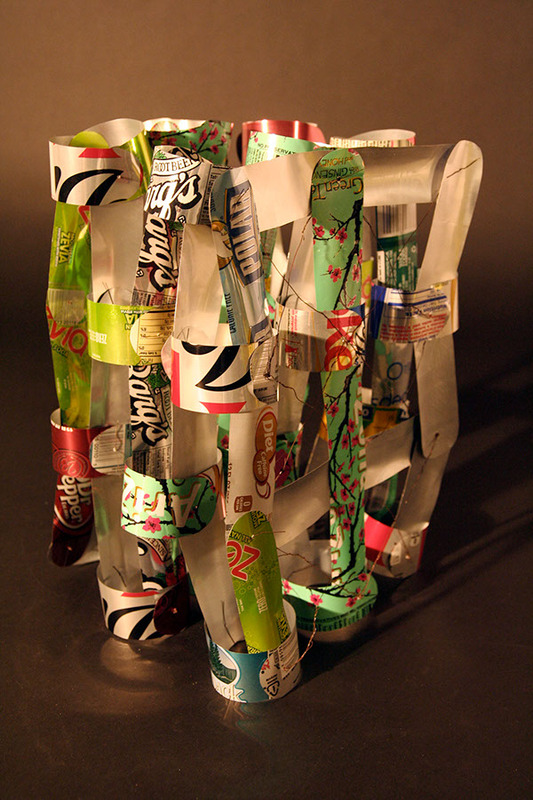 This iteration tried to strengthen the can construction by using cardboard tubes in place of the thin aluminum. 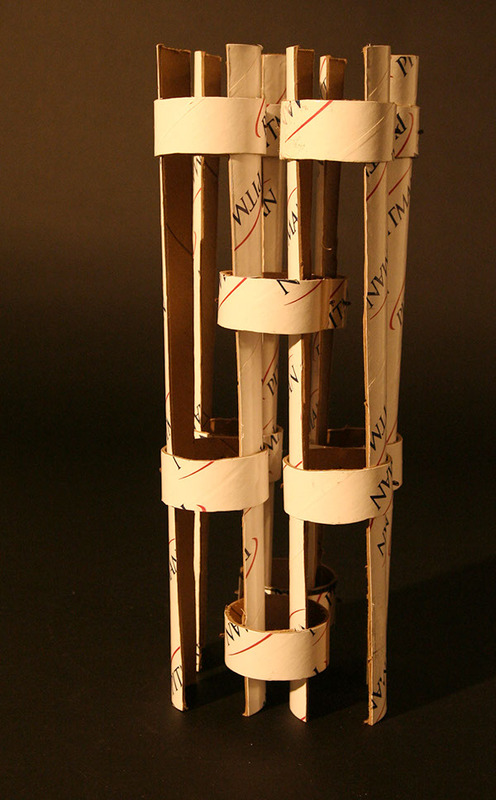 This structure replaced the longer cardboard tubes with shorter tube-like cups. 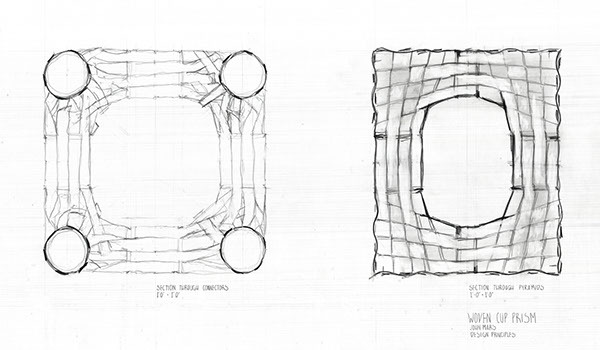 A preliminary form of weaving was also introduced. A structure designed for the "Material Operations" project in the Design Principles class in the Architecture department at the Rhode Island School of Design.